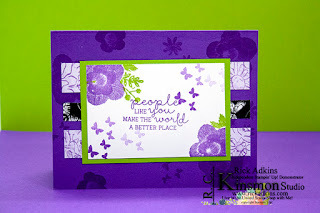 Hello and welcome, I am going to share with you today yesterday's Saturday Simple Stamping card and video. 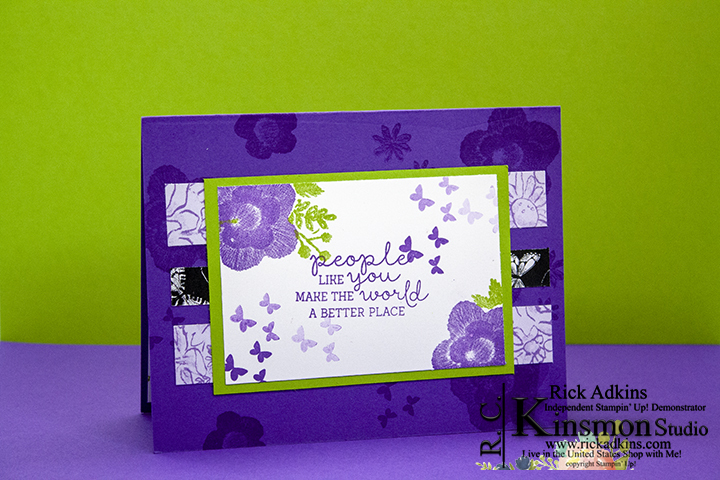 I do a Facebook Live on Saturday at 11 showing a Simple Stamping Project. Simple stamping is all about using stamps ink and paper. Sometimes you can not bet the look of a crisp stamped image on paper. 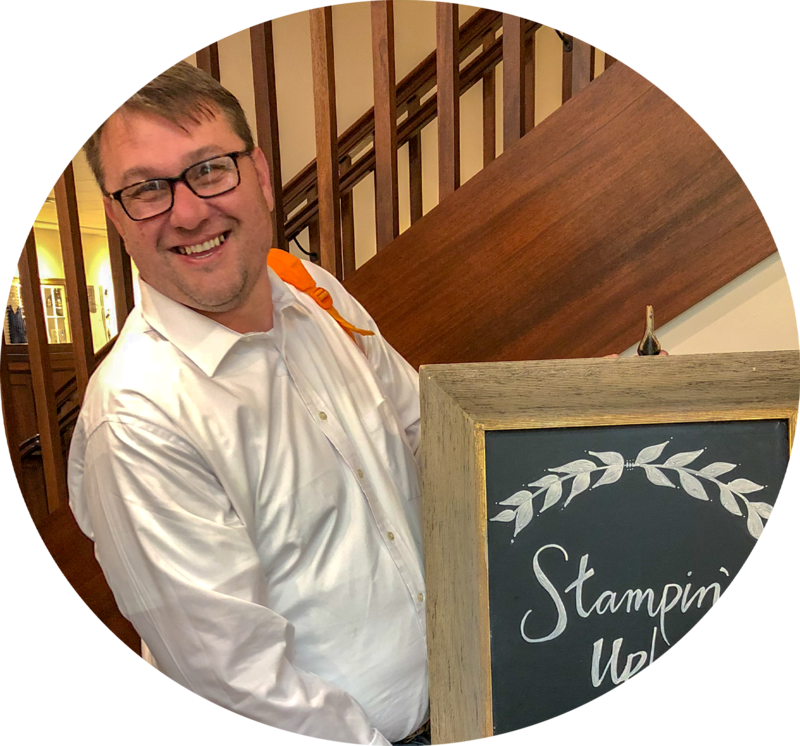 And if you have never stamped before or just getting into stamping: All you have to have is just a stamp set, ink, and paper to create something beautiful. This entire series is about helping people that have never or just getting into stamping to learn. This month I am adding in a little designer series paper into each project. Last month I added in a punch to some of the projects. For February I will be doing a few different designs and using a couple different packs of designer series paper. You will always find a list of products used at the bottom of the blog post; as well as a link to my online store. Here's a look at this past Saturday's Card. I started out with a piece of Gorgeous Grape Cardstock cut at 5 1/2 x 8 1/2 scored at 4 1/4. I stamped the flower images, and butterfly images on the card base in matching Gorgeous Grape ink. I then added strips of the Botanical Butterfly Designer Series Paper (which you can earn for FREE with a $50 order in my online store. I cut the designer series paper as followed. (2) @ 3/4" x 5 1/4 and (1) @ 1/2" x 5 1/4. I added the 1/2" x 5 1/4" piece first to make lining up the other two easier. I added Snail adhesive to the back and attached it to the card base. Next I repeated the process with the other two strips and made sure that the Highland Heather side was facing up. I stamped the large flowers in Gorgeous Grape Classic Ink first. Then I added the leaves in Granny Apple Green Ink. 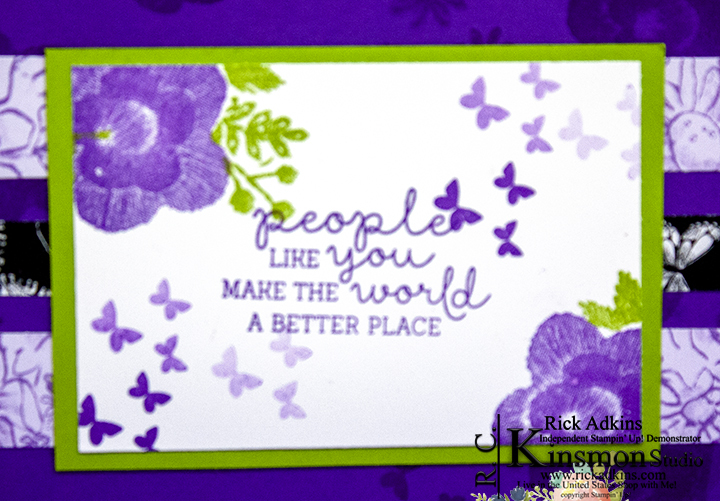 I then stamped the sentiment, and moved onto the butterflies. I did a stamped the butterflies using first, second, and third generation stamping. All that really means is I stamped the butterflies three times without reinking the stamp to create three different ink tones. 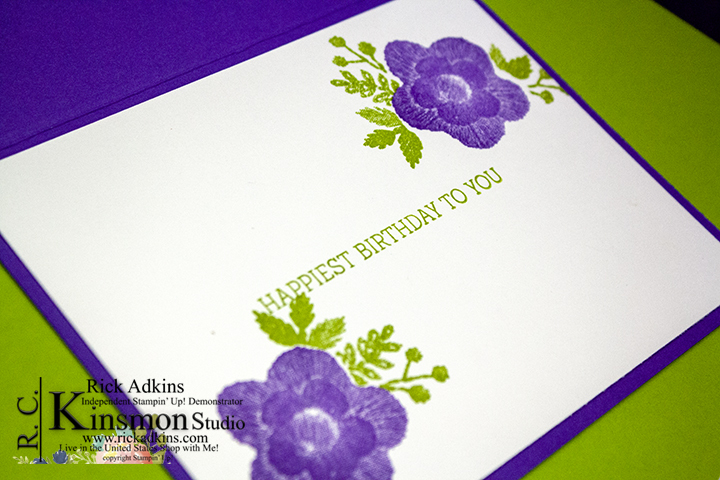 For the inside of the card I added the birthday sentiment and stamped the large flowers with some of the leaves. Just so you know you can line the leaves up to fit the flower where they look like they are behind the flowers by just turning the leaf stamp to fit. It takes a couple turns but when you find the right way the leaves will just nestle in and fit perfectly. This process is made really easy with the fact that the Needle & Thread Stamp Set is a photopolymer Set. 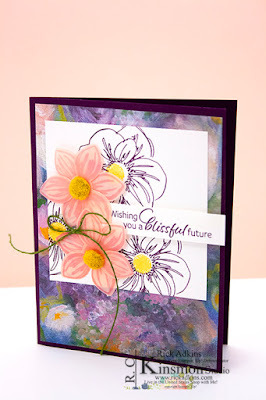 Thanks for dropping by today, for my replay of this weeks Saturday Simple Stamping Card. If you need any of the supplies you have seen in my post today you can pick them up in my online store by clicking the link below or clicking on the image in the supply list below.